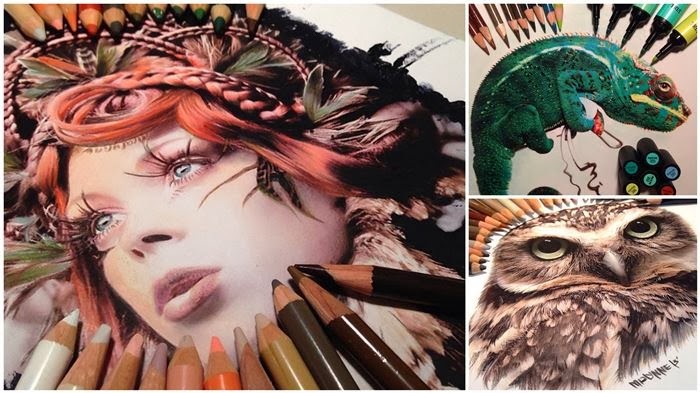 Karla Mialynne is both a designer and an artist who has a talent far greater than simply being able to draw. 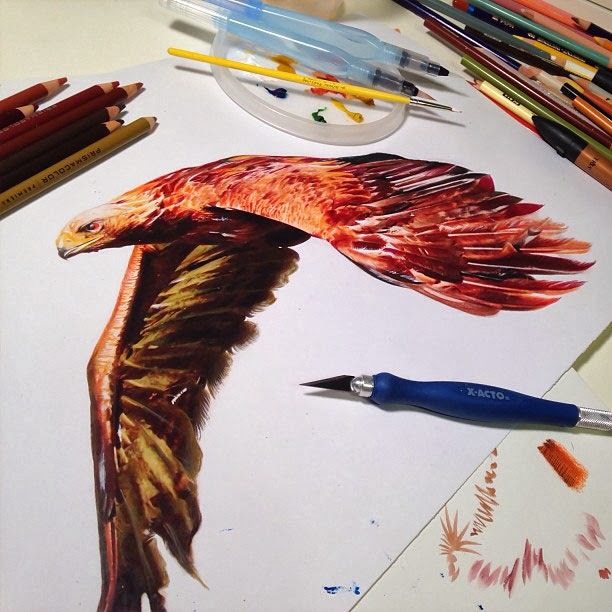 She creates hyperrealistic drawings that will make you question your ability to see and perceive. 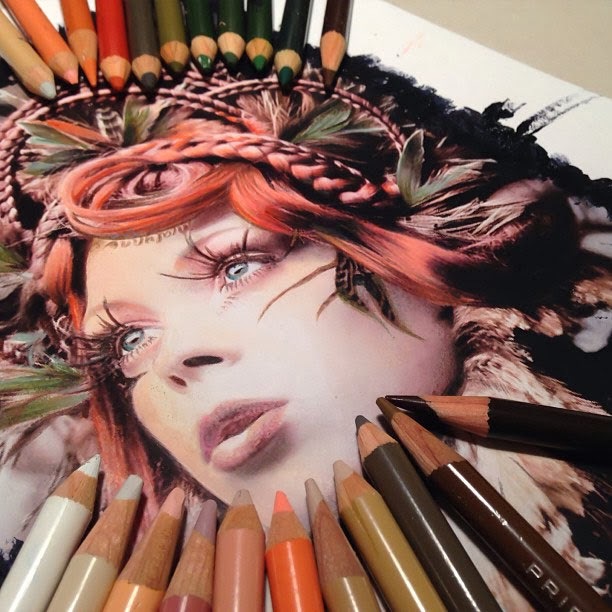 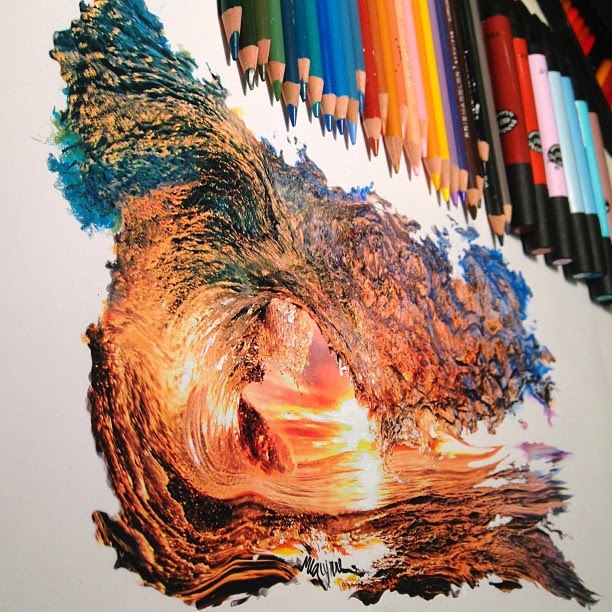 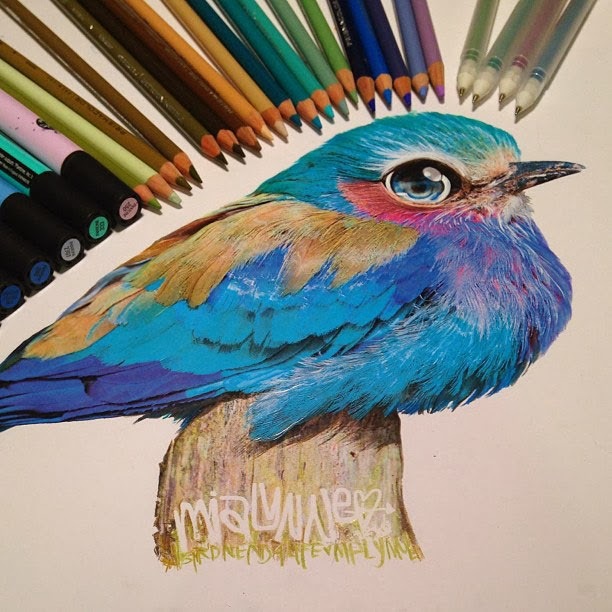 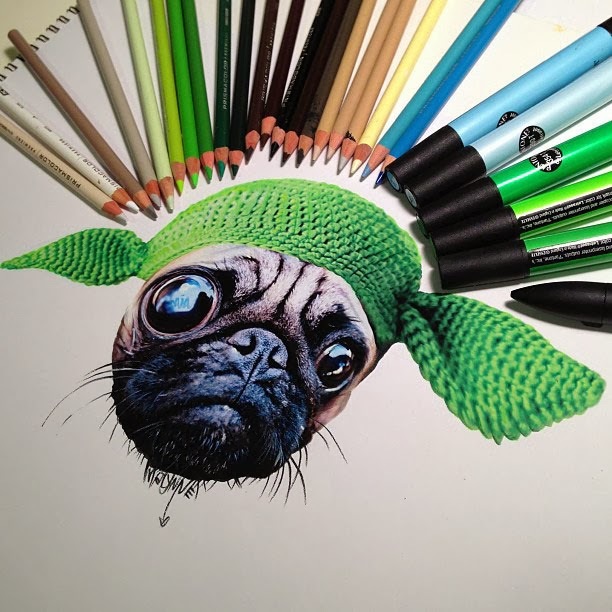 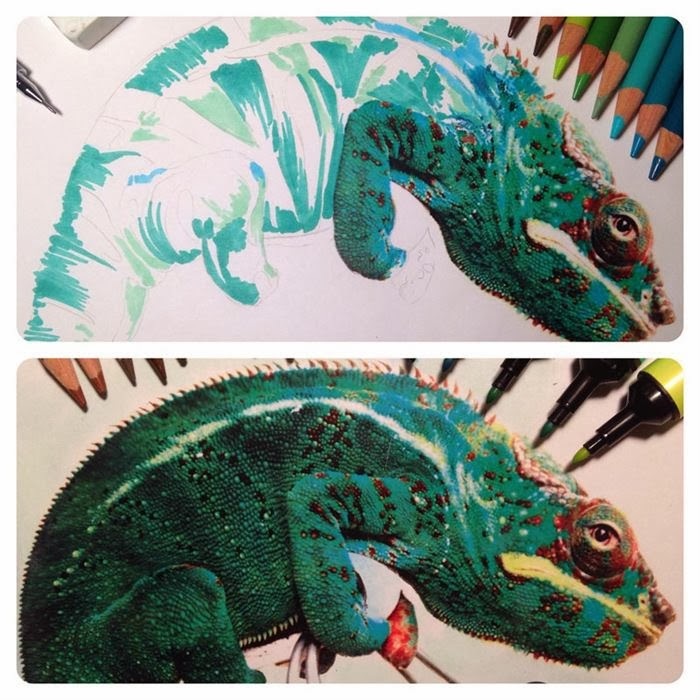 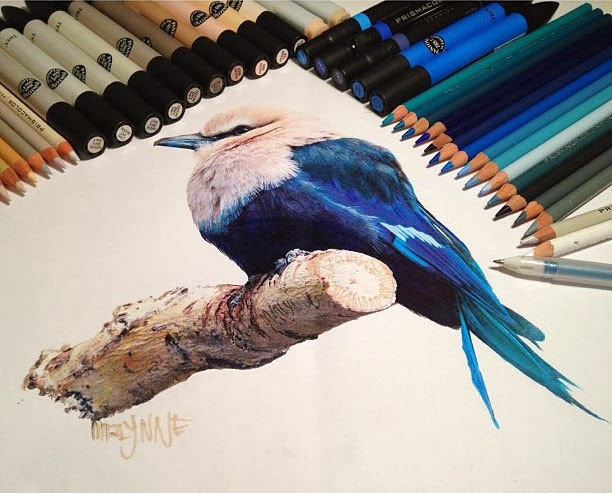 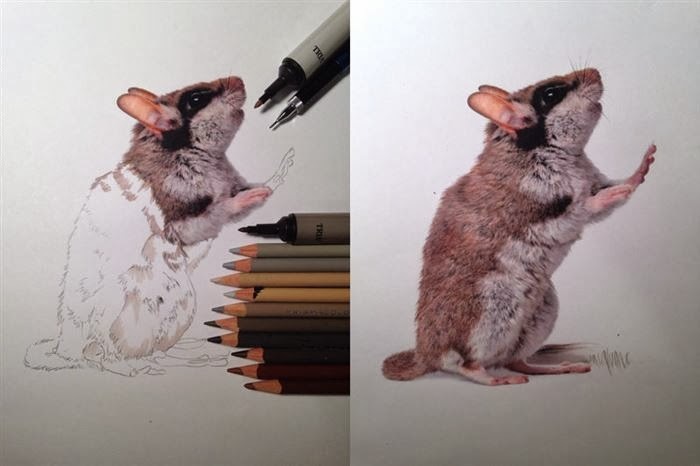 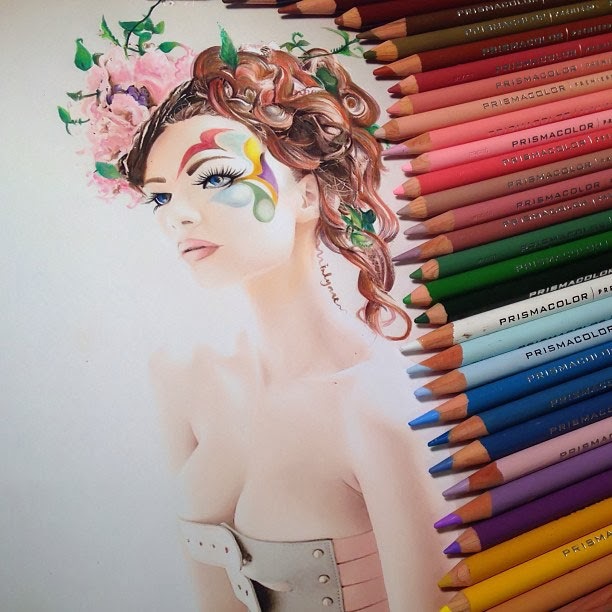 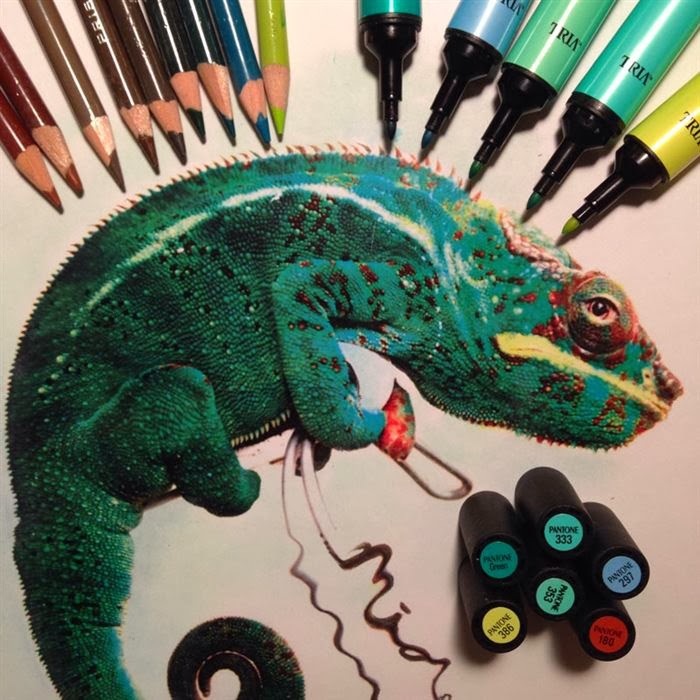 You'll refuse to believe that these were created with some art supplies and not a camera. 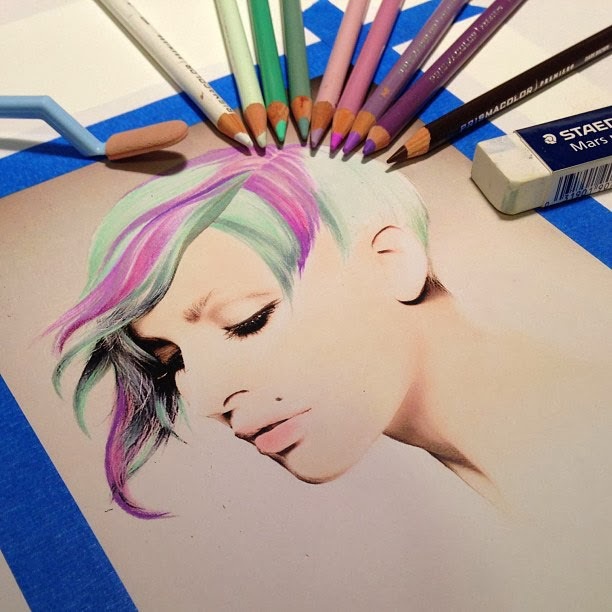 Mialynne sells prints of select pieces and even has a variety of phone cases and t-shirts. 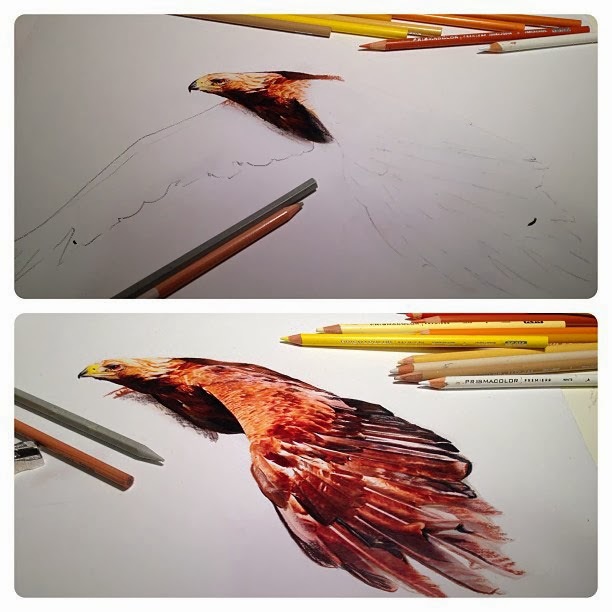 She has 40,000 + followers on Instagram and fascinates every one of them with snapshots of her recently completed work. 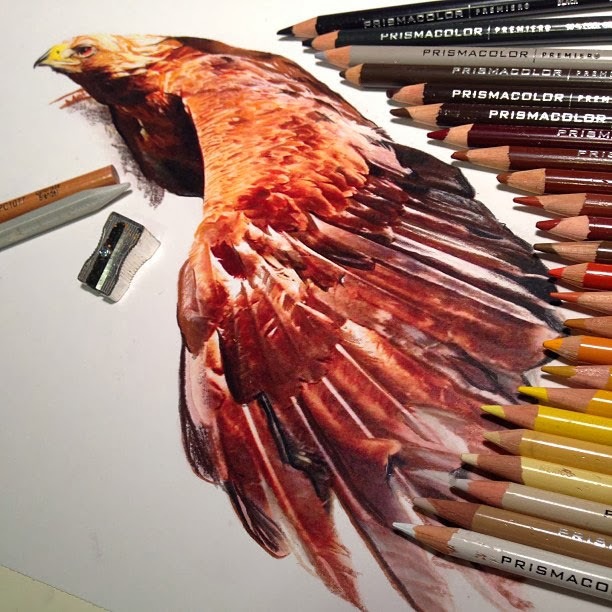 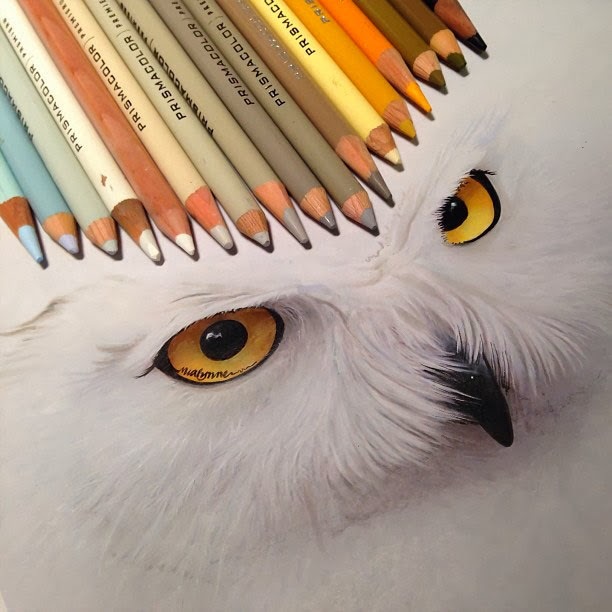 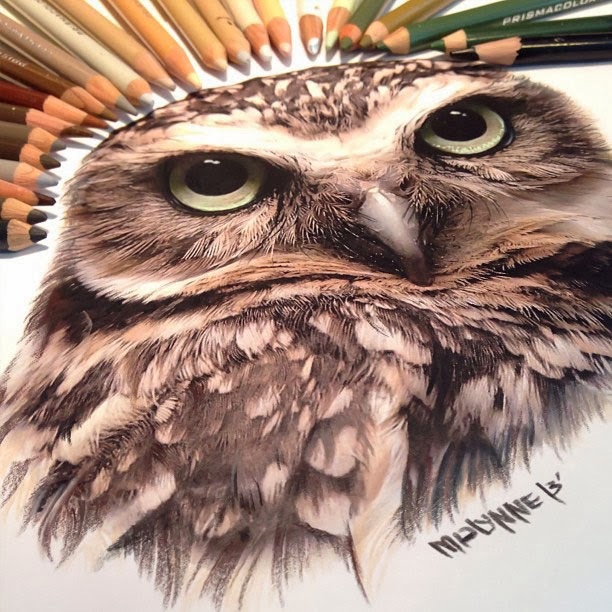 You can see every single feather and the amount of texture in this drawing is incredible.